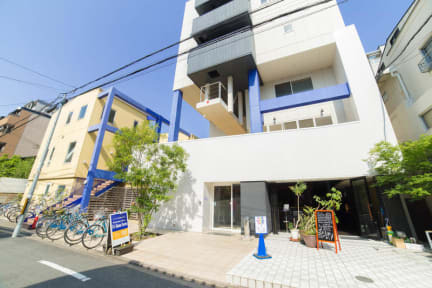 Backpackers Hostel K's House Kyoto is located less than 10 minutes' walk from JR Kyoto station and is about 20 minutes' walk to the Gion District. Hostelworld guests frequently praise this clean and modern hostel's 'friendly and cosy' atmosphere and the 'incredibly helpful, knowledgeable and friendly' staff who 'are willing to take the time out to help you get to wherever you want to be and will even Google Map and help book places.' We like their rooftop terrace with a view over the city. It's no wonder this was rated the best large hostel chain at the 2011 Hoscars! It is near Kyoto and subway stations. The reception was nice and friendly. The bed was clean and comfortable. I think what makes us special is that we really try to provide a quality experience for our guests. We have tons of items available to rent for free from reception, including iPhone chargers, padlocks, guidebooks, adaptors, DVDs and games (cards, Uno, board games, etc). I hear from our guests a lot about what they like about our hostel, and it's our clean rooms with self-locking doors, the friendly staff and the cross-cultural experience of meeting other guests in the spacious common lounge. 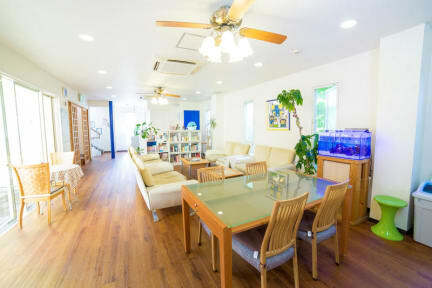 Our hostel is suitable for all types of travellers, from solo travellers to families to groups.